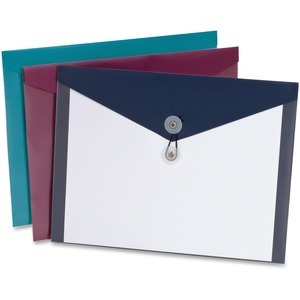 Side-opening poly envelopes are moisture-resistant, stain-resistant, tear-resistant, stronger and longer-lasting than paper envelopes to protect your documents. Polypropylene is clear on one side so you can identify contents. Envelopes offer elastic closures to keep contents secure.